We could talk about inventory management all day—it's what we do!—and avoiding stockouts is just one important component of retail. It can be so difficult to find the balance between ordering too much and too little, but it's crucial to running a healthy business. The costs of a stockout can be devastating in the short and the long-term. Not only do you lose a potential sale in the moment, but stockouts affect the likelihood of that customer buying anything at all (even things that they've already put in their basket). More often than not, it displays poor planning on the business' part and can turn off a new customer immediately. If it's a continued issue, your existing customers will lose trust in you to deliver. That trust is far easier to keep than it is to re-build. A smart, cloud-based inventory management system like Shopventory can help you avoid turning potential customers away because you don't have enough inventory. It syncs with your Square and PayPal Here devices automatically so that you know what you need to order and when you need to reorder it. It can also help you predict future needs, so you don't forget to order extra goods to be ready for your busiest seasons. Whether you are working weekend markets or you have a healthy brick and mortar business, keeping an eye on your calendar can be another savvy way to stay ahead of potential surges in sales. Seasonal trends are different for every business, but also pay attention to the social scene. If the bar down the street is hosting a block party, you have to be prepared for overflow at your business too. Truly being connected to your community can pay off, literally. When you do inevitably run out of stock, it's important to keep your customers happy. In a study by Northwestern University, the most effective strategy in dealing with a stockout was to describe the item as "extremely popular," therefore encouraging backorders. In most other cases, customers were very discouraged by stockouts, surprisingly even more discouraged when offered a discount to come back after experiencing a stockout. 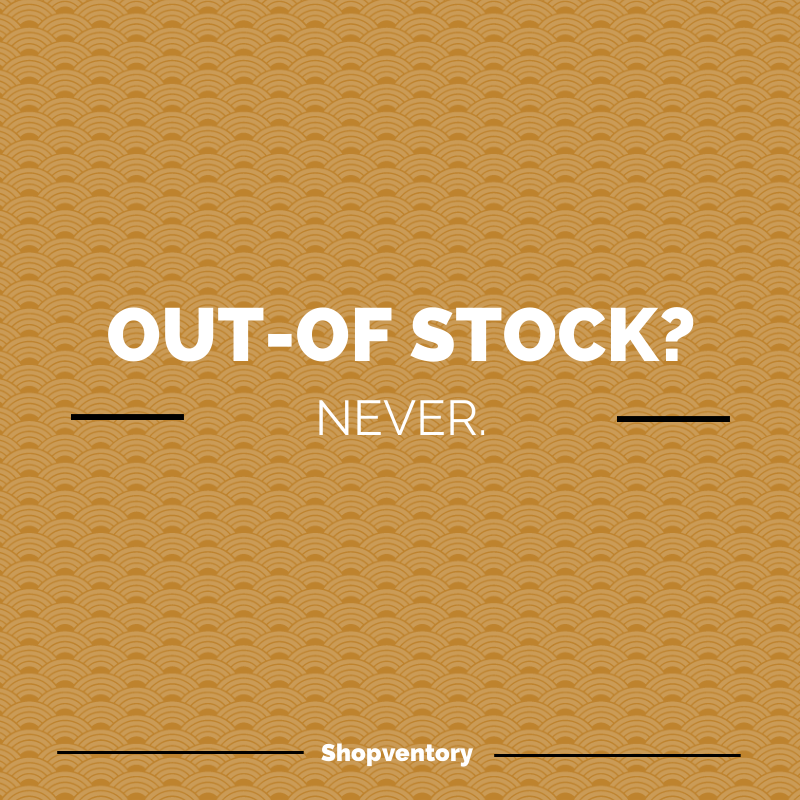 What is your strategy when you're out of stock? Let us know in the comments!